I am a person who is making a change in his life. I am an Electronic Engineer but after a period of two years in the International Cooperation through the EUAV initiative, I decided to switch my professional career to Rural and environmentally sustainable development. All my life, I left an space for being volunteer related to ecology, environmental protection, equity and social justice. At the beginning, as a leisure instructor and educator with children and teenager, raising awareness among them, and next, in international work camps working in fauna and flora protection and within alternative agriculture. In my time as a aid worker, I was deployed to Saint Vincent and the Grenadines and to Ecuador. I worked in climate change rural adaption, building communities capacities, alternative farming, circular economy and raising awareness campaigns. 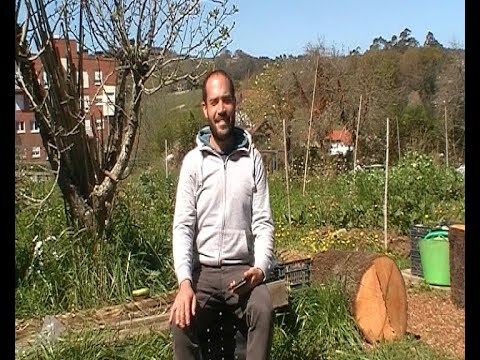 Permaculture means to me a valid way to see our future due to its respect for the nature. Not only I see it as a form of life, but also as a tool to work in agriculture, energy sources and architecture, even though it will not be possible to comply with all its principles.